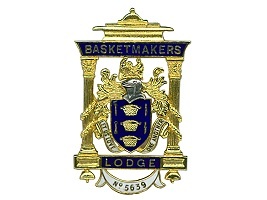 The Worshipful Company of Basketmakers are proud to be affiliated with the following groups. HMS Richmond, 8th Battalion The Rifles, RAF V (AC) Squadron, No2 Company Army Cadet Force, the Letzi Guild of Zurich and the Basketmakers’ Association. Over the years these affiliations have grown stronger by way of mutual support and fellowship.